You could just walk into the shop and pick a wedding ring from a tray of thirty or forty others, but to do so is denying yourself one of life’s lovelier moments. Buying wedding rings is one of those things you do together in the run-up to your wedding. And you should get every single moment of pleasure. These days, wedding bands don’t necessarily mean his and hers. Just like the couples who tie the knot in today, wedding rings come in a myriad of designs and there’s nothing to say your choice of a ring has to match your partner’s although if it does that’s ok.
Is there another ring involved? When there’s an engagement ring London in the mix, you will want to compliment it. If you have a platinum engagement ring having a red gold band would look odd. But on the other hand (see what happened there?) you could have a multi-colored gold and that could work well. There are more metals than you’d imagine. Gold comes in white and then a host of shades too. Rose gold is an uncommon shade for a man and gives a distinctive look to a man’s hand. The best approach is to be open-minded. Besides the metal you choose, you will also need to decide on a width. Long fingers can carry off a thick band in ways which shorter, stubbier fingers might not. But you’re going to be the one who wears it, it is your choice. There’s so much more than a simple band. Wedding bands used to be quite plain, but that’s no longer the case. Now there are so many different types of bands, which can either be a standalone or a complement to an engagement. 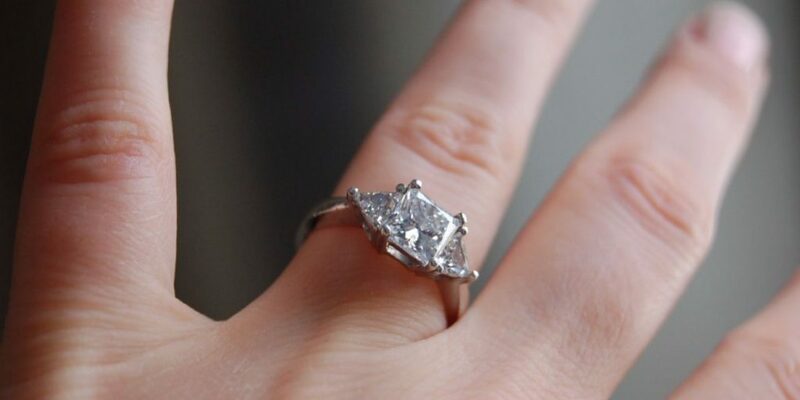 This might work really well if you decided not to have an engagement ring. Wearing a bigger wedding ring, with a different shape to it or even adding gems to it is almost a way to combine the two rings into one. These types of rings have names like baguette setting or twisted wedding band and many more. With all this choice around, how do you even begin to shop for a ring? There’s this thing called an ideas board. It’s where you line up designs you like, and then take a look at those. But that is a constraining approach. When you go to Hatton Garden there are so many different choices that the best approach is to be open minded. If you do have a style you like, you can always start there. Take a few from the trays you’d normally steer clear of. You never know, you just might fall in love with something, well, completely different. Oh, by the way, men are often not used to wearing rings, so pay extra attention to the fit, there are many men who lost their ring on the big day.